RemovalsMates provides relocation and removals services in Turnham Green, W4. Our movers will help you with everything – packing, loading and transporting of your belongings. If you want to be sure that all your stuff will be safely transported from one location to another, you’d better hire us to do the job right. 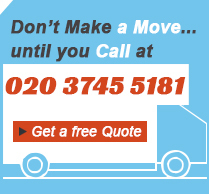 We offer fast and reliable house removals for the area of Turnham Green, W4 and all the other Greater London regions. We will not just come to waste your time and money. We will do the job as fast as possible without damaging your belongings. No matter if you want to move to another area or to another city – call us and we will help you with that. Our operators are waiting for your call. You want to move your furnitures, electronics and all the other stuff from your current housing to another area or another town? Let us assist you with that and we guarantee maximum efficiency and budget friendly prices. Our house removals professionals work in Turnham Green, W4 every day. They will show up on time, equipped, uniformed and prepared to do the removal project. They won’t just hang around and waste your time. All the fragile items will be wrapped up and carefully loaded into a large truck. Contact us now for more information and a free quote. As your kid has married and has started his/hers own family you want to help. You have gathered all you can spare in means of furniture and appliances and think that they will need and now need to get it to their home, but you don’t have the time nor a van to get it their with. We will gladly help you as we provide the best house removals for our customers in London and more particularly in Turnham Green, W4. One call is enough and you will receive exactly what you need.